In accordance with the Vision and Mission of FMIPA UI to become a science faculty capable of playing a global role in promoting science and sustainable development, FMIPA UI should improve the quality of education throughout its program of study. 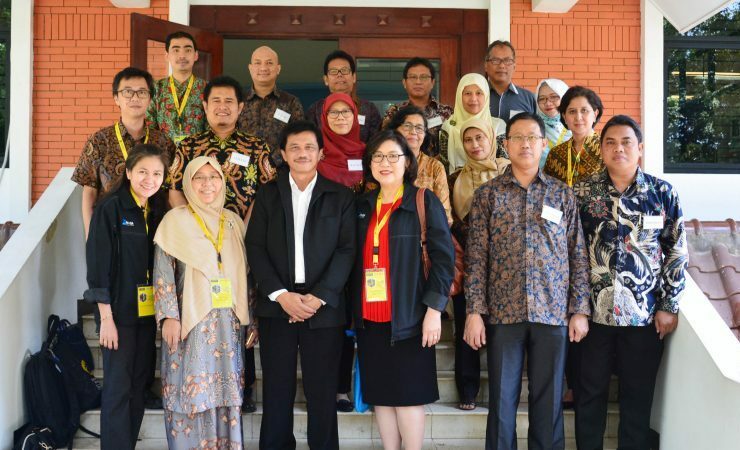 One of FMIPA UI’s efforts to improve the quality of education is to conduct assessment through assessment process of ASEAN University Network-Quality Assurance (AUN-QA). This year, in the 110th AUN-QA, the undergraduate program of mathematics mathematics FMIPA UI became one of the assessed courses. This mathematics study program is the second study which is assessed by AUN, previously, the undergraduate program of chemistry FMIPA UI has conducted the AUN-QA assessment in 2012. After the AUN FMIPA UI team completed the entire preparation stage of the AUN assessment for the mathematics study program, the next stage was visitation by AUN QA assessor team. 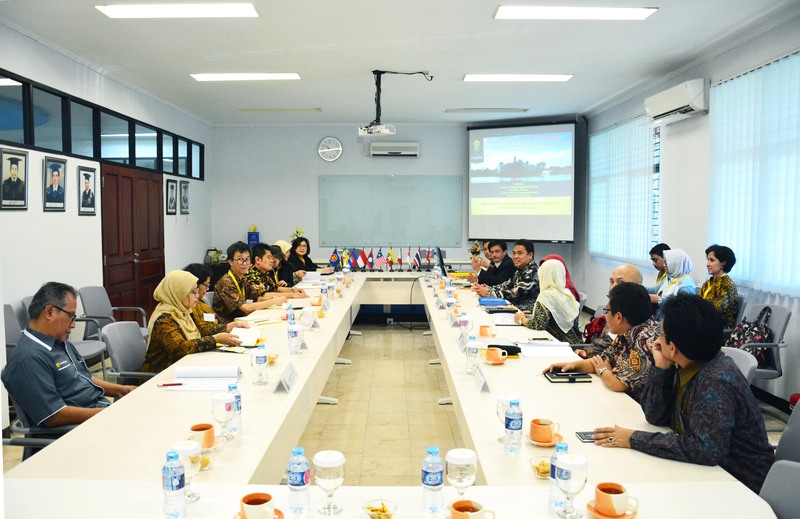 Wednesday, (10/4) team assessor AUN-QA namely Prof. Dr. Suzeni Binti Abd Halim (University of Malaya) and Assoc. Prof. Dr. Vongdeuan OSAY (National University of Laos) is present to conduct a series of activities in this visitation. The visitation which will be held until 12th of April is an important stage of the whole series of AUN activities. At this stage a series of interviews and observations were conducted to the study program by the AUN Assessor Team. The series of interviews involves the leaders of FMIPA UI (Dean, Vice Dean I and II, managers, and head of UPMA), Head of Mathematics Study Program, faculty, education staff, active students, alumni, and employers. According to Dr. rer. grout. Abdul Haris as Dean of FMIPA UI, assessment conducted by AUN-QA assessor will bring sustainable impact on external recognition. So Haris hopes that the mathematics study program will get the best value. The certification results of the AUN-QA assessors will be released within the next two to three months. The form is a scale of one to seven. “I hope between 5 or 6”. said Haris. Haris added that the accredited A-nation programs are expected to follow the AUN-QA assessment process as soon as possible. Thus, all study programs at FMIPA UI are not only accredited nationally but also regionally and internationally. According to Haris, both certification and accreditation are part of efforts to improve the quality of education in FMIPA UI. The results of this assessment will be taken into consideration aspects of the quality of education that needs to be developed. Head of Quality Assurance Unit of Academic FMIPA UI. Ratna Yuniati said the next study program planned to undergo the AUN-QA assessment process is the undergraduate program of physics and biology degree course in October. In line with Haris, Ratna is optimistic that the FMIPA UI study program has been assessed and will be assessed in October to get a satisfactory score. “Prodi S1 ​​Chemistry has been able to score 5. I am optimistic, Prodi S1 ​​Mathematics can score between 4.5 to 5, as well as Prodi S1 ​​Physics and biology later, hopefully smoothly and can be the best value”. said Ratna. AUN is a university networking organization in Asean that has the main objective to strengthen and expand cooperation in the field of higher education among ASEAN countries. Indonesia has 4 universities that become AUN members and get AUN-QA assessment each year ie UI, UGM, ITB, and UNAIR. AUN Quality Assurance (AUN-QA) is one of the activities undertaken by AUN which aims to undertake quality assurance of the AUN member study program. AUN QA is an assessment, not an accreditation. Accreditation itself is part of the QA. Assessment is done independently (self assessment) by doing SAR (Self-Assessment Report).